As supermarket giant Tesco axes fresh food counters at 90 of its stores, Miguel Campos of food packaging manufacturer Advanta, explains why this isn’t a demonstration of cutting costs, but adapting to customer needs. Tesco’s decision to reduce fresh food counters in stores was met with a flurry of speculation, suggesting the ‘store simplification’ plan was part of a scheme to reduce costs. In reality, only 10 per cent of the supermarket’s meat counters were removed, whereas other counters, including bakeries and delis, remained trading in 700 locations. Regardless of the scale of the closures however, the decision to remove meat counters from stores does demonstrate a shift in shoppers’ habits. 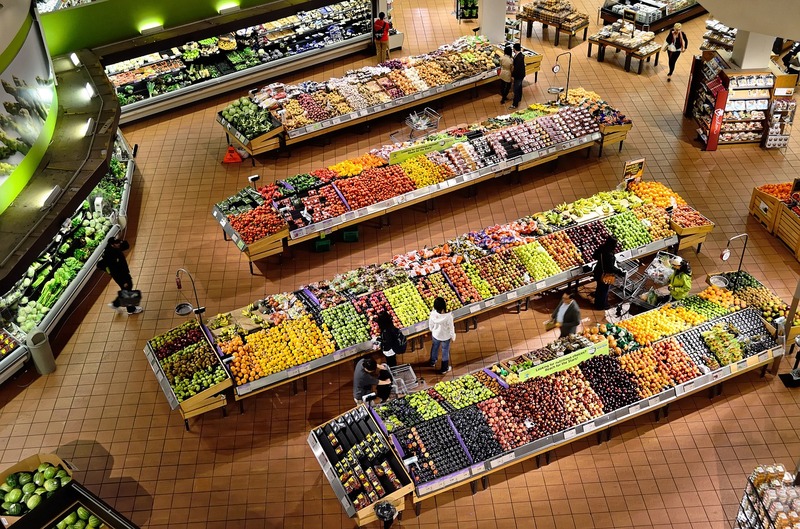 Following the announcement, the supermarket’s chief executive for the UK and Ireland suggested that shoppers time restraints may be to blame, as consumers were evidently using fresh food counters less frequently. This information suggests that today’s time strapped customer doesn’t yearn for staff interaction when purchasing food. They aren’t interested in sampling products, nor do they require cooking advice from an instore specialist. Arguably, these shoppers simply want to select their goods and head to the check out. However, this doesn’t align with other schemes that are being spearheaded by retailers. In 2018, Morrisons launched a scheme to encourage shoppers to bring their own Tupperware to instore meat counters. In a bid to reduce the single-use plastic usually associated with pre-packaged meat, shoppers were able to take their food home in personal containers using a sticky label provided to be scanned at the till. While the scheme was initially backed by Tesco, the supermarket’s subsequent counter closures suggest the idea hasn’t taken off at the pace sustainability enthusiasts may have hoped for. Ultimately, some shoppers simply want their meat prepared, sealed and ready to scan — and available to pick up directly from the shelves. So, how can supermarkets strike a balance between customer convenience and packaging sustainability? Firstly, supermarkets must assess the reasons consumers prefer pre-packaged meat. One of the most obvious reasons is shelf life. Pre-packaged meat is often sealed using specialist methods to extend its use by date. For instance, packaging techniques that take advantage of low oxygen levels, such as modified atmosphere packaging (MAP), controlled atmosphere packaging (CAP) and vacuum packaging. Sealing techniques decrease the amount of oxygen the meat is exposed to, reducing the opportunity for bacterial growth. Using these methods, products can claim an extended use by date compared to their unsealed alternatives. Fresh poultry, for example, is usually perishable between three to ten days. With MAP sealing, the manufacturer can claim a much longer shelf life. However, hermetically packaged products like this require the use of plastic to effectively seal meat in the container. When combined with a low recyclable plastic tray, this doesn’t complement the sustainability efforts of supermarkets. However, there are opportunities for food manufacturers to reduce the amount of plastic used in this process. A simple improvement would be to transition to a more sustainable material for the tray, such as aluminium. Moving to a recyclable aluminium tray doesn’t completely eliminate the use of plastic in meat packaging. However, it still provides consumers with the convenience and shelf life they require. Until consumers begin arriving at instore meat counters armed with Tupperware to store products, shifting to more environmentally friendly material is a step in the right direction. Not only are shoppers reducing time spent browsing instore, but are also looking for ways to reduce supermarket trips. As consumers use fresh food counters less frequently and fail to embrace schemes like Morrison’s Tupperware initiative, retailers must prioritise convenience. That is, without sacrificing the environment.